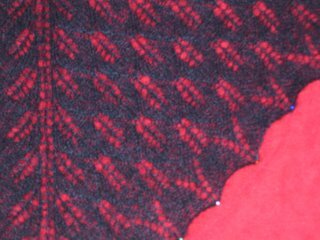 Em's Knitty Corner: Finished Kiri! It's dark and grey outside and I haven't done much knitting yet, though I did all my laundry and cleaned up the yarn room, so that counts for extra, right? It's smaller then I had anticipated, or thought. 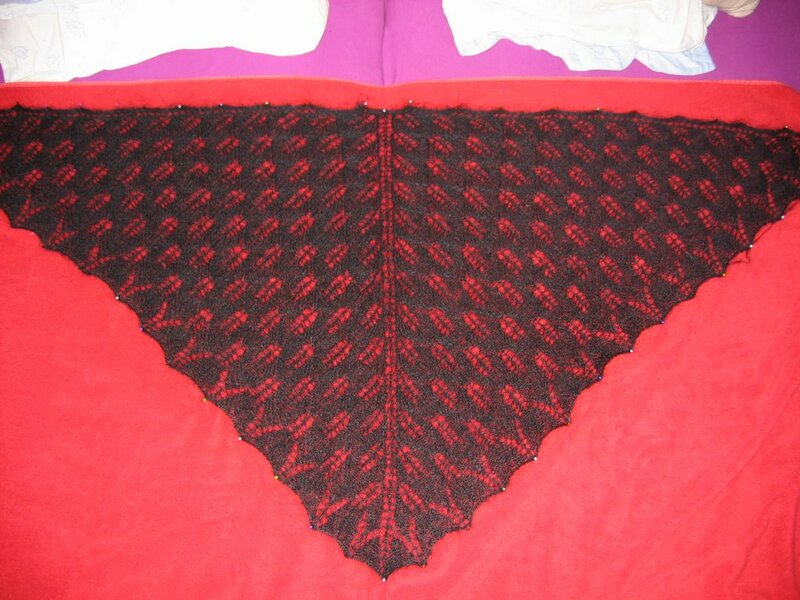 I don't know why I was thinking this shawl was going to be bigger. But hey it's more then ok and I'm really happy with my first real lace project!! I'm really pleased with myself, though I'm a week late for the knitting olympics. Still, I finished this shawl and I'm so happy! 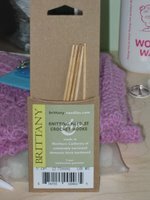 A set of Brittany needles, DPN's 5" in 2.75mm! I'm so excited about these as this size is not available over here, so it'll be put to good use! 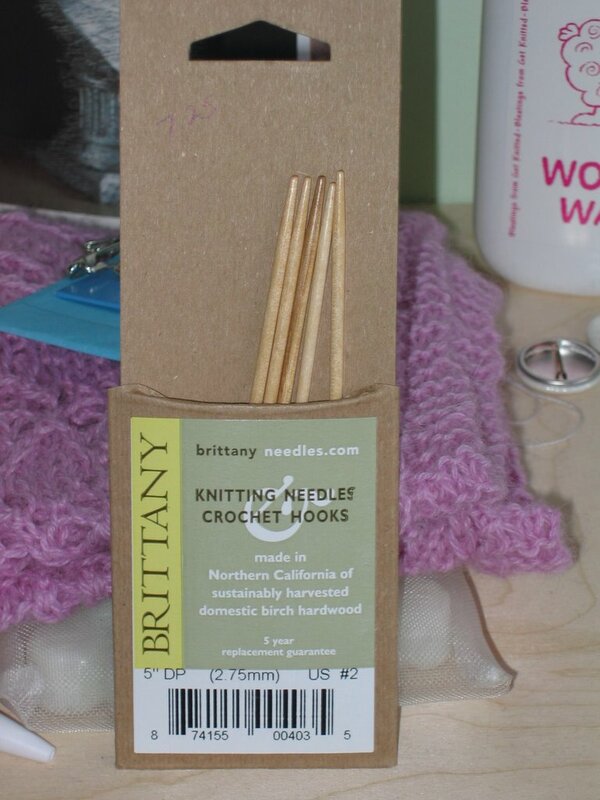 I'm also excited about my first set of wooden needles! Well, I did have a addi turbo natura, but it's not the same I think! 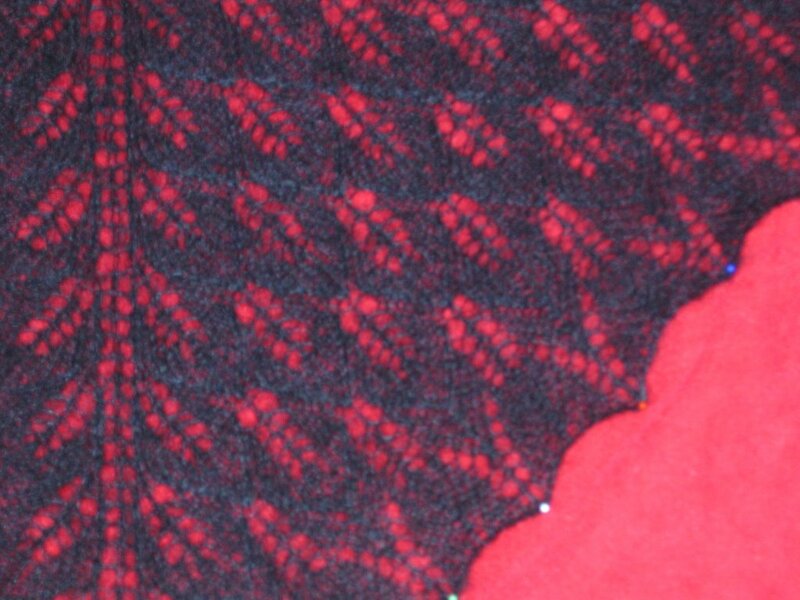 So that's it for today, off to do some more knitting! Beautiful shawl! And the Brittany dpns are the best :O) When I knit socks and mittens on dpns it is always with the 5" Brittany's...the longer needles get in my way. Enjoy! I am so glad that you liked everything! I knit all my socks on the short needles too. I Love them!